On the west side of the Mar Elias monastery is a site named "Airplane hill" (Giv'at Hamatos, Khirbet Tabaliya). Welcome to the home page of the Holy Land sites review - a gateway to the Land of the Bible, home of the New and Old Testaments. 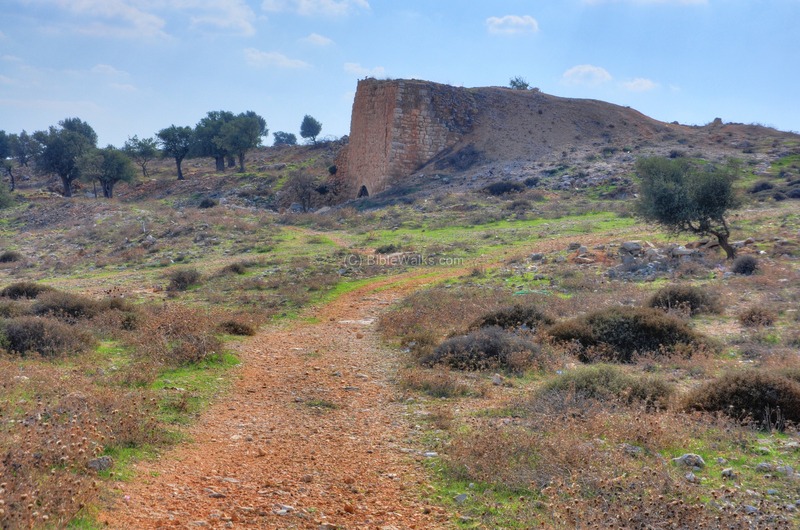 Packed with original images and information, BibleWalks highlights the wonders and charm of the region and its relevance to the historical and biblical roots. Click on the dot to navigate. 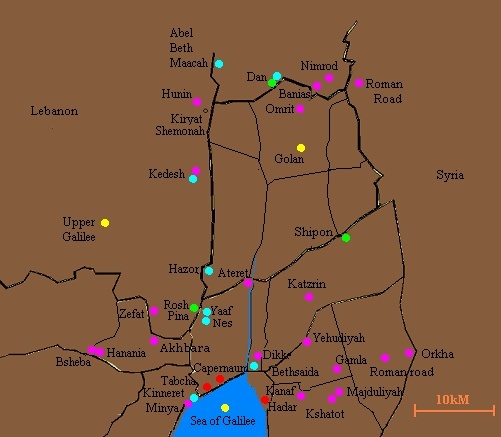 The map shows the sites of the Golan and the Eastern Upper Galilee, in the northern east part of modern Israel. 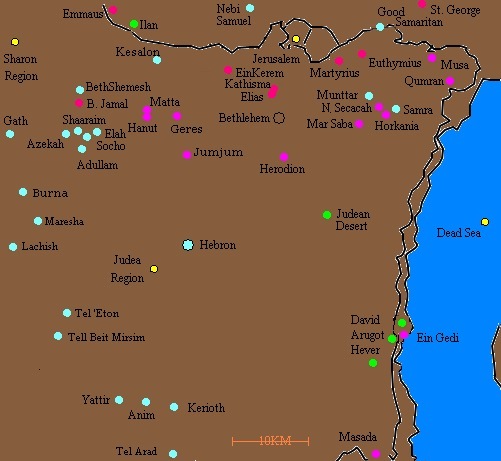 Galleries of sites for Upper Galilee and Golan summarize these sites. Map of the old city of Holy Jerusalem, drawn on a smaller scale. Click on the dot to navigate. Select one of the sacred destinations in Jerusalem on the "sites" option above, or skim thru the whole list in the gallery of Jerusalem sites. Check also the gallery of sites in Judea. 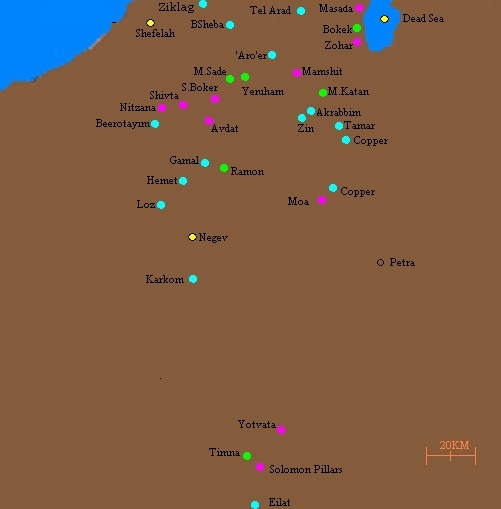 Map of the region of Samaria, an area north of Jerusalem, shows more sites, using the same color code. Visit the gallery of sites for a brief description of each site. Map of the South Coast and Shefela. A brief description is in the gallery of sites for this region. Map of the Negev - the South of Israel.. A brief description is in the gallery of sites for this region. Planning a pilgrimage tour of Israel?... a weekend trip to places of interest? 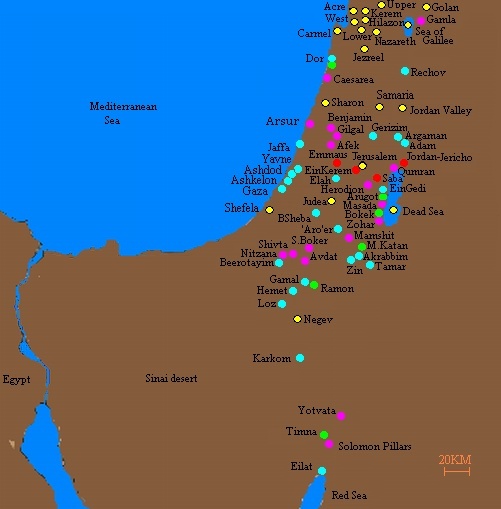 Biblewalks helps you plan your visit, and invites you to step into the fascinating dimensions of the Bible world. Take a free tour to the Bible Land! If you like our site and want it to grow - consider a contribution to push it further.